Prince Rupert Gas Transmission Ltd. (PRGT) requested an amendment to the boundaries of Anhluut’ukwsim Laxmihl Angwinga’asanskwhl Nisga’a, (a.k.a. Nisga’a Memorial Lava Bed Park). PRGT, a wholly owned subsidiary of TransCanada Pipelines Limited, requested an amendment to allow for a natural gas pipeline. The pipeline would be part of a proposed 900 km natural gas pipeline originating near Hudson’s Hope to the proposed Pacific Northwest liquefied natural gas export facility on Lelu Island, within the District of Port Edward. Approximately 12 kilometres of the natural gas transmission line is proposed to be constructed through the lava beds in the park, generally adjacent to the Highway 113 corridor. An amendment to the boundary of Nisga’a Memorial Lava Bed Park is required if the project is to proceed along the proposed route. The proposal was reviewed in accordance with the Provincial Protected Area Policy, Process and Guidelines document. Information on this process is available by clicking here. Nisga’a Memorial Lava Bed Park is jointly managed by BC Parks and representatives of the Nisga’a Lisims Government. In accordance with the Nisga’a Final Agreement any adjustment to this park’s boundaries also requires a motion from Wilp Si’ayuukhl Nisga’a, the Nisga’a Nation’s 36 member legislative body. PRGT sought public input about the proposed changes to the boundary of the park during a 45-day period from May 26th – July 10th, 2014. Citizens were invited to visit the PRGT’s Nisga’a Memorial Lava Bed Park Proposed Boundary Adjustment proposal webpage to review the proposal and comment online. PRGT will provide a summary of these comments to BC Parks. Additionally, PRGT hosted a series of open houses in northern B.C. between June 16th and June 23rd. These open houses were held in conjunction with the Environmental Assessment Office of British Columbia’s open houses. Open houses were scheduled for Terrace, Port Edward, Hazelton, Smithers, Hudson’s Hope, Mackenzie and Fort St. James. BC Parks encouraged citizens to provide comments to Prince Rupert Gas Transmission Ltd. through one of the above methods. 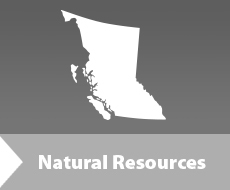 However, citizens could also submit comments about the proposed boundary amendment directly to BC Parks.